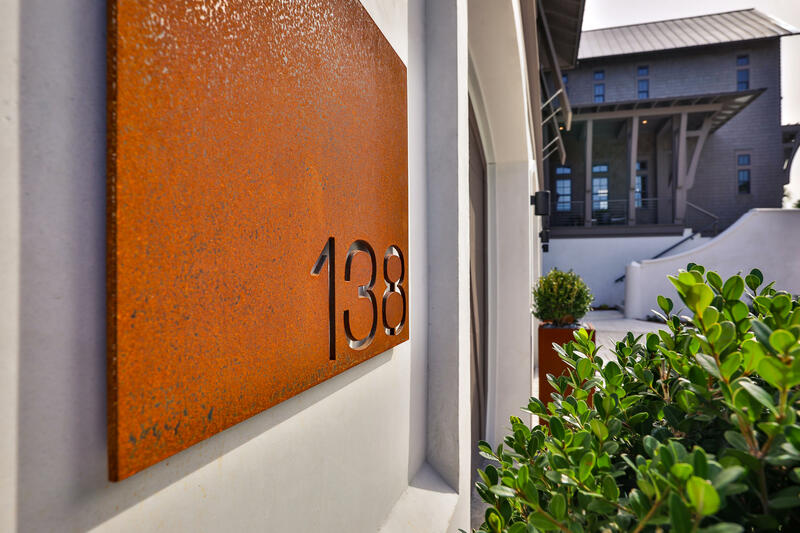 A newly completed elegant beachfront residence: 138 Camp Creek Point is a spectacular residence perfect for gathering with family and friends, with the main house and the carriage house sleep a total of 16 people. Generous interior and exterior volumes include a game room, great rooms in the main house and the carriage house, multiple porches, and a scenic beachfront pool terrace provide spaces to enjoy for groups of all sizes. Towering 12-foot coffered ceilings throughout and generous windows and floor-to-ceiling French doors and folding glass walls flood the interiors with natural light and provide incredible views of the beach and the Gulf beyond. Additional features include a grand chef's kitchen, an outdoor kitchen, a wine cellar, and an elevator. © 2019 Emerald Coast Association of Realtors. Information deemed to be reliable but not guaranteed. The data relating to real estate for sale on this website comes in part from the IDX Program of Emerald Coast Association of Realtors. Real estate listings held by brokerage firms other than are marked with the BR logo and detailed information about them includes the name of the listing brokers. Listing broker has attempted to offer accurate data, but buyers are advised to confirm all items. Information last updated on 2019-04-24. Any use of search facilities of data on this site other than by a consumer interested in the purchase of real estate, is prohibited.